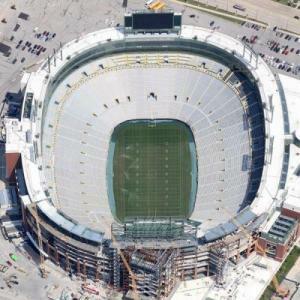 The NFL's longest-tenured facility, Lambeau ranks as one of the most recognized and envied locales in sports, a fact recognized in 1999 when Sports Illustrated named it the eighth-best venue in the world to watch sports -- and the lone NFL stadium to make the magazine's list of 20. Even after the recent changes, Lambeau maintains its nostalgic and intimate feel with unobstructed sightlines. Permeated by history, tradition and mystique, the view from inside can be awe-inspiring. Dedicated as City Stadium Sept. 29, 1957 -- a day that saw Green Bay topple the hated Chicago Bears, 21-17 -- ceremonies included Vice President Richard Nixon and NFL Commissioner Bert Bell. In 1965, the team renamed it Lambeau Field following the death of E.L. 'Curly' Lambeau, the Packers' founder. Originally built at a cost of $960,000, an amount shared equally by the Packer Corporation and the City of Green Bay, the facility was financed by way of a bond issue that received 2-to-1 voter approval in a municipal referendum conducted April 3, 1956. 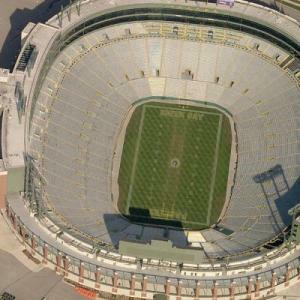 Located in southwest Green Bay, surrounded on three sides by the village of Ashwaubenon, Lambeau Field originally was built on farmland, purchased for $74,305. The stadium's original architect, Somerville Inc., favored the current site because it was sloped, making it perfect to build a bowl. Lambeau Field, now in its 49th NFL season, is the longest continuously-occupied stadium in the league -- 10 years more than the next-closest venue, Qualcomm Stadium in San Diego at 39 years. In pro sports as a whole, only the Boston Red Sox at Fenway Park (94 seasons) and the Chicago Cubs at Wrigley Field (92 seasons) have longer active homefield tenures. The final Pro Football stadium left to be submitted.